We do guarantee our soaps.... just ask. Please use these bars before one year.....We don't use corrosive preservatives. Freezer for quantity storage. "First Time Customer Introduction" ........ (usually done at the market place). We are ....... Artisan-Health Product Providers.....by intention & design. Why Our low price: Soap-mark-up: is generally ten-to-one. The $2 Castile (20 cents of oil). ...Divine has $1.20 of oil (ie $12.00) However we sell for $6.00. WE pack in quality, and leave greed out. FREE SHIPPING ...for 2 bars or more. Bless this Wonderful Mother Earth. This is our way. Being all connected... "Our powerful visualizations of planetary joy" (one hr a day) will do more than we imagine. Your Bliss is Our wish. 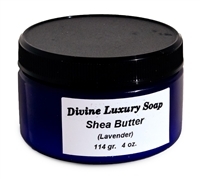 Copyright © 2013 Divine Luxury Soap. All Rights Reserved. Ecommerce Software by Volusion.